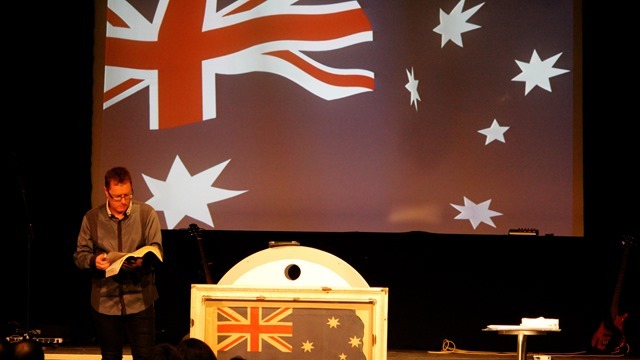 I preached at Nowra City Church on Sunday 25th January 2015: the day before Australia Day: on the Christianity in our culture, heritage and famous people from our past. Here is some of my research. Makes interesting reading. 1) The birth of our constitution. 2) Former Australian Treasurer Peter Costello explains the Judeo Christian Tradition that forms the basis of our society: in a speech from 2004. When Jesus told his disciples that they would be witnesses in Jerusalem, Judea, Samaria and the uttermost part of the earth, the known world consisted of the Roman Empire – the Mediterranean and surrounds. No one in the Roman world, no one in the Jewish world, knew of Australia. From the then known world of the Mediterranean, Australia was beyond even the uttermost parts of the earth. The first Australian Christian service was a thanksgiving service. It was thanksgiving for a safe passage in dangerous sailing ships, on a dangerous mission half-way around the world. Two hundred and twenty six years later we meet tonight to mark a “National Day of Thanksgiving” for all the benefits rendered to us, in the modern Australia. Of course, the members of the First Fleet were not the first people to come to Australia. The Aboriginal people were here long before that and I am proud to honour descendants of those first Australians. But it was the First Fleet that brought the first chaplain and first knowledge of the Christian faith to Australia. This was the critical and decisive event that shaped our country. If the Arab traders that brought Islam to Indonesia had brought Islam to Australia and settled, or spread their faith, amongst the indigenous population our country today would be vastly different. Our laws, our institutions, our economy would all be vastly different. But that did not happen. Our society was founded by British colonists. And the single most decisive feature that determined the way it developed was the Judeo-Christian-Western tradition. I am not sure this is well understood in Australia today. It may be that a majority of Australians no longer believes the orthodox Christian faith. But whether they believe it or not, the society they share is one founded on that faith and one that draws on the Judeo-Christian tradition. The foundation of that tradition is, of course, The Ten Commandments. How many Australians today could recite them? Perhaps very few. But they are the foundation of our law and our society, whether we know them or not. And so we have the Rule of Law, respect for life, private property rights, respect of others – values that spring from the Judeo-Christian tradition. 3) The Christian basis for the Union Jack. I blogged this point in a separate blog.I was really amazed to find that the Union Jack represents three very godly and passionate men. Click here to read that blog. 4) Some of Australia’s famous poetry. 5) The Coronation of the Queen. This is an excerpt take from the Coronation script that was used to Coronate Queen Elizabeth II in 1953. Coronation ceremony has essentially remained the same for over a 1000 years. King Edwards chair (named for Edward the Confessor) is the throne for the coronation – it has the Stone of Scone in it. The Stone of Scone )—also known as the Stone of Destiny, and often referred to in England as The Coronation Stone—is an oblong block of red sandstone that was used for centuries in the coronation of the monarchs of Scotland, and later the monarchs of England and the Kingdom of Great Britain. Historically, the artefact was kept at the now-ruined Scone Abbey in Scone, near Perth, Scotland. It is also known as Jacob’s Pillow Stone and the Tanist Stone, and in Scottish Gaelic, clach-na-cinneamhain. Its size is about 26 inches (660 mm) by 16.75 inches (425 mm) by 10.5 inches (270 mm) and its weight is approximately 336 pounds (152 kg). A roughly incised cross exists on one surface, and an iron ring at each end aids with transportation. The Stone of Scone was last used in 1953 for the coronation of Elizabeth II of the United Kingdom of Great Britain and Northern Ireland. Various theories and legends exist about the Stone’s history prior to its placement in Scone: Legends place the origins of the Stone in Biblical times and consider the Stone to be the Stone of Jacob, taken by Jacob while in Haran. (Genesis 28:10-22). Once the taking of the oath concludes, an ecclesiastic presents a Bible to the Sovereign, saying “Here is Wisdom; This is the royal Law; These are the lively Oracles of God.” The Bible used is a full King James Bible, including the Apocrypha. At Elizabeth II’s coronation, the Bible was presented by the Moderator of the General Assembly of the Church of Scotland. Once the Bible is presented, the Holy Communion is celebrated, but the service is interrupted after the Nicene Creed. After the Communion service is interrupted, the crimson robe is removed, and the Sovereign proceeds to King Edward’s Chair, which has been set in a most prominent position, wearing the anointing gown. (In 1953, King Edward’s Chair stood atop a dais of several steps.) This mediaeval chair has a slot in the base into which the Stone of Scone is fitted for the ceremony. Also known as the “stone of destiny”, it was used for ancient Scottish coronations until brought to England by Edward I. It has been used for every coronation at Westminster Abbey since. Until 1996 the stone was kept with the chair in Westminster Abbey between coronations, but it was returned that year to Scotland, where it will remain on display in Edinburgh Castle until it is needed for a coronation. Once seated in this chair, a canopy is held over the monarch’s head for the anointing. The duty of acting as canopy-bearers was performed in recent coronations by four Knights of the Garter. This element of the coronation service is considered sacred and is concealed from public gaze; it was not photographed in 1937 or televised in 1953. The Dean of Westminster pours consecrated oil from an eagle-shaped ampulla into a spoon with which the Archbishop of Canterbury anoints the Sovereign on the hands, head, and heart. The filigreed spoon is the only part of the mediaeval crown jewels which survived the commonwealth. The Archbishop concludes by reciting a blessing. The Lord Great Chamberlain presents the spurs, which represent chivalry. The Archbishop of Canterbury, assisted by other bishops, then presents the Sword of State to the Sovereign. The Sovereign is then further robed, this time putting the Robe Royal and Stole Royal on top of the supertunica. The Archbishop then delivers several Crown Jewels to the Sovereign. First, he delivers the Orb, a hollow golden sphere set with numerous precious and semi-precious stones. The Orb is surmounted by a cross, representing the rule of Jesus over the world; it is returned to the Altar immediately after being received. Next, the Sovereign receives a ring representing the “marriage” between him or her and the nation. The Sceptre with the Dove (so called because it is surmounted by a dove representing the Holy Spirit) and the Sceptre with the Cross (which incorporates Cullinan I – the worldest second largest diamond ) are delivered to the Sovereign. As the Sovereign holds the two sceptres, the Archbishop of Canterbury places St Edward’s Crown on his or her head. All cry “God Save the King [Queen]”, placing their coronets and caps on their heads. Cannons are fired from the Tower of London. Palace officials said water from the River Jordan – where Christians believe Jesus Christ was baptized – was used for the christening. Here is a link to some of the ceremony. Our Father, which art in Heaven: Hallowed be Thy Name. Thy Kingdome come. Thy will be done in earth, as it is in Heaven. Give us this day our daily bread. And forgive us our trespasses, as we forgive them that trespass against us. And lead us not into temptation; but deliver us from evil: For Thine is the kingdom, and the power, and the glory, for ever and ever. Amen. Before giving evidence, the magistrate will ask each witness to swear an oath on the Bible (or other holy book) or make an affirmation (promise) to tell the truth. It is important that the witness takes an oath according to their religious beliefs. This is a quote from Col Stringer’s book The 800 Light Horseman. Beersheba, meaning “well of the oath”, so named by Abraham in the book of Genesis. The well had provided water not only to Abraham, but to Moses and David. Any army approaching its life-giving wells has to march for days through the waterless Sinai desert. All the Turks had to do was hold off an attack for one day and the merciless desert sun would do the rest. Despite constant assaults by the combined forces of the British and Australian armies, the place could not be taken. Then came the fateful day of October 31 1917. The generals were desperate, 50,000 British infantry with tank support had been driven back into the desert. With the sun about to set and with no water for many miles, disaster stared them squarely in the face. The Australian Light Horse Commander Chauvel’s orders were to storm Beersheba, it had to be won before nightfall at all costs. The situation was becoming grave as they were in urgent need of 400,000 gallons of water for men and horses. Chauvel concocted a crazy plan. Why not let his 800 horsemen charge the Turkish artillery? A cavalry charge across 6000 yards of open terrain straight into the face of the massed Turkish guns. It sounded like a recipe for disaster. No wonder the German Officer commanding the Turkish defences described the Aussie Light Horsemen as “madmen!” For a start the Light Horse were not cavalry, they were mounted infantry. They had no swords or lancers but were equipped with rifles and bayonets designed for infantry warfare. But left with virtually no alternative the desperate General gave the order for the last great cavalry charge in history! The 800 young men mounted their magnificent Walers (horses) and lined up to face the Turkish guns, their young faces bronzed and tanned from the desert sun, their emu plumes swaying in the breeze from their famous slouch hats, rifles swung across their backs and bayonets in hand. History was about to be written. These 800 young men were about to open the doorway to the liberation of Jerusalem! Ultimately this act of bravery paved the way for the birth of the modern day nation of Israel. The charge, shown in a 1940’s movie. By helping the Ngarrindjeri people become literate and numerate and to acquire trades Rev George Taplin enabled them to survive and flourish in European society. Today hundreds of their descendants remain in various districts of Australia; their durability can largely be attributed to Taplin. 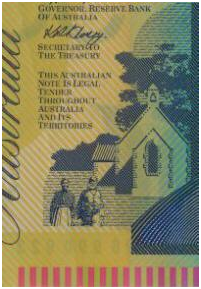 Two Christians he influenced included James Unaipon and his son David Unaipon – the man on our $50 note. 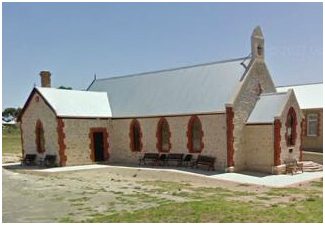 The church, which is located at Point McLeay, South Australia. 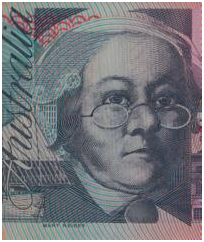 It is located on the corner of Seymour St and Unaipon St and is now honoured on the $50 note. David Unaipon was born in 1872, at Point McLeay on a South Australian Christian Mission, and trained to be an Aboriginal Christian Preacher. Soon he was acting as a spokesman for the Indigenous community and by the early 1900’s was famous. He won nationwide respect and his articles about Aboriginal Myths and Legends were published in newspapers and Christian magazines, a first for an Aborigine. In 1909 Unaipon invented an improved mechanical hand piece for shearing sheep by changing the motion of the blades from circular to straight. While he obtained a patent for his new shears he was never properly protected and it was others who gained financially from his invention. That didn’t stop Unaipon. Interested in aerodynamics he conducted experiments involving the flight of boomerangs and then predicted the invention of Helicopter flight. He was called Australia’s Leonardo and came up with ideas for a centrifugal motor and a multi-radial wheel idea. The Reverend John Flynn was an Australian Presbyterian minister who founded the Royal Flying Doctor Service, the world’s first air ambulance. Flynn received an Order of the British Empire in 1933. 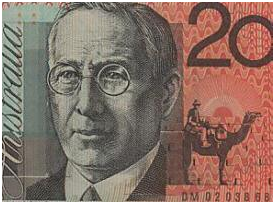 He is featured on one side of the current Australian 20 dollar polymer note. “He brought gladness and rejoicing to the wilderness and solitary places”. He is now featured on the $20 note. A faithful Christian, electronic tinkerer and scientific inventor, Hermann Alfred Traeger, gave the Outback, and the Royal Flying Doctor service, a way of fast contact via the innovative local sustainable technology of the Pedal-Powered Wireless which he invented. His invention is on the $20 note. The renowned English navigator and explorer Captain James Cook had been baptised in the Anglican parish church of Marton-in-Cleveland in north Yorkshire in 1728, but was a nominal Anglican only. Nevertheless, he was a moral man and never cursed or swore and would not permit profanity on board his ships. Before he sailed, Cook’s wife Elizabeth gave him an Anglican prayer-book from which source he named a number of places on Australia’s coast after the days of the church year on which his ship reached them, such as the Whitsunday Passage and Islands, Trinity Bay and the Pentecost Islands. Here is the relevant statement in the Preamble to the Constitution. For thirty-seven years, Arthur Stace wandered the streets of Sydney before dawn chalking an anonymous one-word sermon on the pavement. The word was ‘Eternity’ and he wrote it more than half a million times. It intrigued Sydneysiders who pondered its meaning whilst trying to identify its mysterious author. 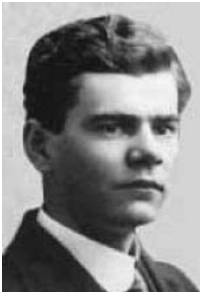 Arthur Stace was born in a Balmain slum in 1884 to a family of alcoholics. Stace learned to fend for himself at an early age, sleeping on bags under the house to avoid his drunken parents, stealing food and assisting his sisters who ran brothels. By his 20s he was in and out of prison for housebreaking and other offences and had developed a heavy drinking habit. Left half-blind after a gas attack in WW1, he slipped further into poverty and such extreme alcoholism that he was in danger of becoming a permanent inmate of the mental asylum. No matter what he tried, he couldn’t give up the drink. In 1930, hungry, hopeless and desperate, he stumbled into St Barnabas’ Church on Broadway where he had heard there was free food available to those who listened to the preaching. Struck by the Christians he met there, Stace got down on his knees and prayed. (on the night of August 6th, 1930 – see text below). He gave up the drink and began to work. Arthur Stace lived with his wife in Pyrmont. His daily routine was to wake up at 4:00am, pray for an hour then head to whichever suburb he thought God was directing him to, writing ‘Eternity’ every hundred yards or so. The message could be seen on walls and footpaths, prompting people to consider eternity itself. The police very nearly arrested him 24 times for defacing the pavement. “But I had permission from a higher source,” said Stace. Stace regarded his unique style of evangelism as a serious mission given him by God. Throughout years of speculation in Sydney, he kept his identity quiet. However, he was finally identified by a churchman in 1956. Stace gave his first interview to the Sunday Telegraph in 1956. Writing Eternity wasn’t all Arthur Stace did to help men and women come to know Jesus. On Saturday nights he led gospel meetings, with Open Air Campaigners, at the corner of Bathurst and George Streets – just across from the Cathedral. At first he did it from the gutter but in later years he had a van with electric lighting and an amplifier. Stace eventually became a member of St. Barnabas’ Broadway, where he had first heard the gospel in 1930. Arthur Stace died at the age of 83 in 1967. Ten years later, a plaque was dedicated to him in Sydney. The message ‘Eternity’ was spread to billions of people during the millennium festivals of 2000 as the word was written in fireworks above the Harbour Bridge. There were many more examples I could have used. I thank God for our Christian Heritage and the Judeo Christian foundations of our nation that are still very much a part of Australian culture. I encourage you to share this blog on Social Media. ‹ Christian Origin of the Union Jack on the Australian Flag. Thank you very much my brother Max for ex-planning things which I never knew about constitution and money who where they and many things about this beautiful country of ours, but the sad thing is the values those people who put the and brought Christianaity to this country and it was build on Christian values, slowly slowly are getting forgotten . If look through the Bible and look at Joseph when his brothers sold him to Eqyipt and he brought his family of couple hundred they became burden of Egypit by millions, Muslims came by hundreds to this Country and now they trying to put their laws on us and tell us what is right what is wrong. they will become by million then Australia will become a Muslim country then it is too late you can do nothing. Have you seen the Australiam Christian History website http://www.chr.org.au ? It has a wealth of great Australian Christian Heritage.